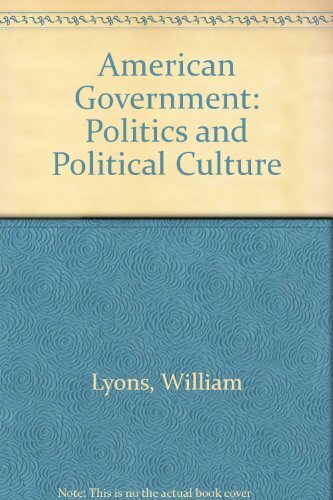 William Lyons is a professor of political science at the University of Tennessee & coauthor of such books as American Government: Politics & Political Culture. John M. Scheb was born in Orlando, Florida, in 1926. He entered the practice of law in 1950. He served as associate municipal judge in Sarasota, Florida, from 1957 to 1959. From 1959 to 1970, he served as City Attorney for the city of Sarasota. In 1974, he was appointed to the Florida District Court of Appeal, second district, a position he held until his retirement in 1992. Judge Scheb holds the B.A. from Florida Southern College, the J.D. from the University of Florida, and the LL.M. from the University of Virginia.